Chronic pain is a pain that lasts longer than 6 months in length. It can vary from being mild to excruciating, and it can occur either in episodes or continuously throughout a person’s lifetime. These signals of pain are in the nervous system taking both an emotional and physical toll on a person suffering from chronic pain. Chronic pain limits one’s movement, flexibility, strength, and stamina. This can pose as a challenge for them when enjoying their daily activities, possibly leading to depression and despair. The most common sources of pain come from headaches, joint pain, injuries, and back pain. Chronic pain can come from an injury or trauma, and it is a result of body damage from a previous injury. Mentally, a person with chronic pain may experience anxiety, stress, depression, and fatigue. To help with these mental challenges, a psychologist may alleviate some of these symptoms. In addition, symptoms include a mild to severe pain which does not go away, a shooting or burning sensation of pain, and feeling discomfort, soreness, tightness, or stiffness. Fatigue is a common symptom, as many people suffering from chronic pain feel sleepy, inactive, irritable, depressed, or have a weakened immune system. Types of chronic pain include pain in the hip, joints, and back. There is no test for chronic pain as it varies in severity and where it affects one’s body. The best clues for chronic pain are if the pain is sharp, constant, and burning throughout the body. It is important to identify where the pain is occurring, as it can affect a variety of locations in the body. Therefore treatment must be tailored to each individual, as one may experience back pain while another may experience joint pain throughout the body. When treating it, the goal is to reduce pain and improve one’s daily functioning. Medication, acupuncture, electrical stimulation, nerve blocks, or surgery may help treat chronic pain. Less invasive means include psychotherapy, relaxing therapies, and behaviour modification. 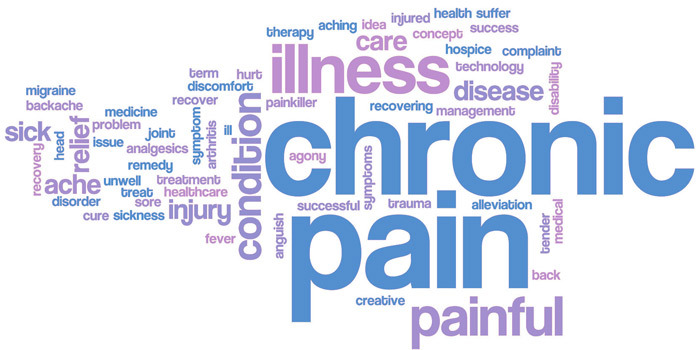 In addition, self-management of chronic pain can help a patient actively participate in their own healing process. This can include engaging in their own problem-solving, pacing, decision-making, and taking the necessary actions to relieve their pain. Self-management helps someone feel empowered allowing them to take control of their situation and make decisions for themselves. It is also important for patients to communication frequently with their healthcare provider to track their recovery process and self-management techniques. To be eligible for this tax credit program one must have their disability for at least 12 months. In addition, it must be severely affected them the majority of the time. How To Apply for Disability Tax Credit for Chronic Pain? To apply, our experts will assist you in filling out form T2201 where you will need to get your medical practitioner to complete this form. This will ask your doctor to describe how you are impaired by your disability. It is important to be descriptive in this section as a patient can be affected in a variety of ways by their chronic pain.